The "Kony 2012" video on Youtube is undoubtedly the most viral video ever that it now has nearly 100 million Youtube views in only 2 weeks. "Kony 2012" is a documentary-style 30-minute campaign video calling for the arrest of Ugandan war criminal Joseph Kony, leader of Ugandan guerrilla group Lord's Resistance Army (LRA). 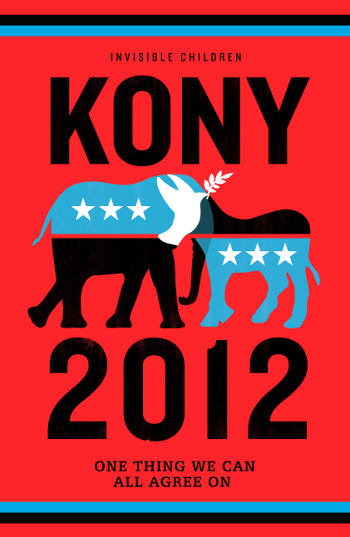 Produced by Invisible Children, Inc. under the direction of Jason Russell, "Kony 2012" made its debut on Youtube last March 5 and thanks to social media sites that it was able to gain widespread attention and support that easy from many people around the world. As of today, March 18, "Kony 2012" already has 81.98 million views and probably, after a week, it already crossed the 100 million mark. If it happens, then it would be faster than Justin Bieber's "Baby" video, which reached 100 million views in more than 2 months. Justin Bieber's "Baby" is currently the #1 most viewed Youtube video of all time, now with more than 700M views. It was also the first to surpass the "half a billion" mark, with Jennifer Lopez's "On The Floor" as the 2nd video to do so. Twenty-five (25) million more views for Kony 2012, then it will already be part of Youtube's 100 Most Viewed Videos of All Time.